Pollack’s grief, in fact, drives him to continue his mission to prevent killers like the one who murdered Meadow from harming other innocent people, Pollack told Breitbart News on Tuesday on the sidelines of the Turning Point USA High School Leadership Summit in Washington, DC. 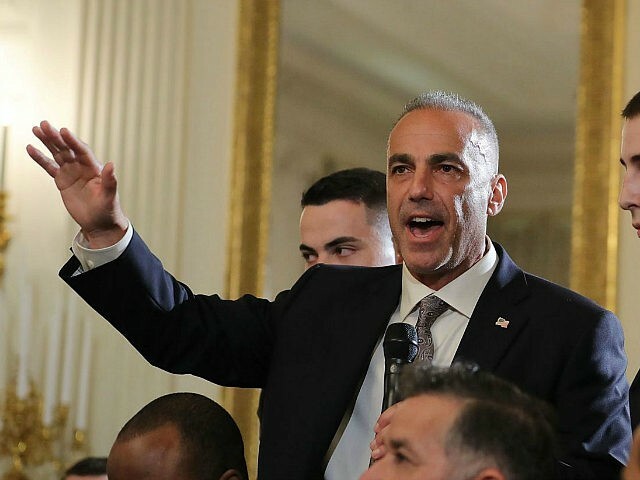 “It’s a pain that I just deal with and I channel it and I get things done,” Pollack said, adding that he agreed to join the contingency from the Florida high school who took part in the summit where conservative youth expressed their support for safe schools and Second Amendment protection. But right now, what Pollack wants to get done is making sure the Broward County School District School Board has members who will revoke the President Barack Obama-era school discipline program. Many believe the program allowed Meadow’s killer to not only avoid punishment for his aggressive behavior but set the scene for him to purchase the weapons he used in the attack. In fact, Pollack has devoted most of this time since his daughter’s death to lobbying for school safety, including in Washington, DC, where he met with lawmakers and President Donald Trump and famously told the president that he was “pissed” that his daughter was not protected at her school. “We could all agree on school safety, so that’s my platform,” Pollack told Breitbart News. “It’s not a hard fix,” said Pollack, who supports metal detectors and armed personnel on all school campuses. “When I have my grandkids they are not going to know what it’s like to go to school without a metal detector,” Pollack said, predicting that hardening school campuses around the country will be a paradigm shift in the country to prevent more mass killings. “This is what society brought us to, and that’s what we’re going to have to do,” Pollack said. In March, Breitbart News reported that experts believe the Obama-era so-called Promise Program could have led to the Parkland school tragedy. “[The gunman] probably wouldn’t have been able to buy the murder weapon if the school had referred him to law enforcement,” veteran FBI agent Michael Biasello told RealClearInvestigations (RCI). In 2014, the Obama administration issued a “Dear Colleague” guidance that threatened school districts – whose disciplinary measures showed a disproportionately greater number of minority students affected – could be subject to investigation by the Departments of Justice and Education, regardless of whether the behaviors leading to the discipline were unacceptable. Pollack said he came to D.C. to stand with young people who believe gun rights, not gun control, will help keep them safe in school.